Tobacco is the most dangerous and deadly drug in the country, it leads to hundreds of thousands of American deaths every year. 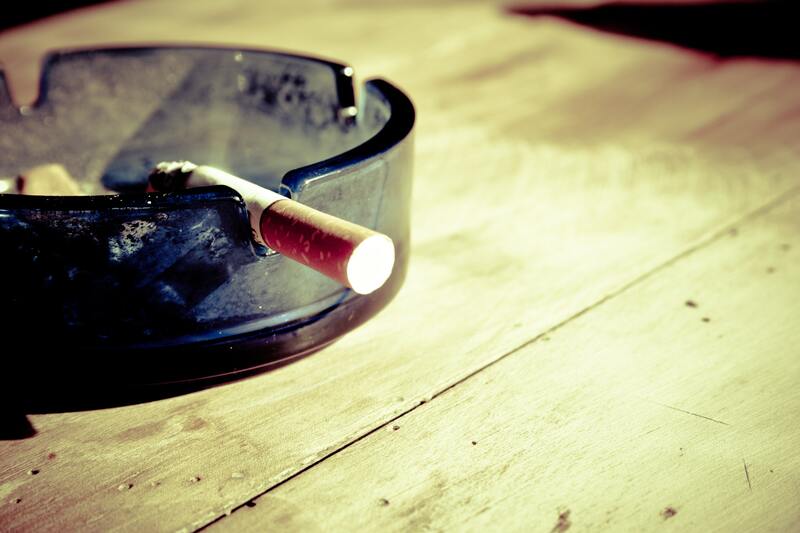 Smoking is a harmful habit that leads to almost half a million American deaths annually. According to data from the Center for Disease Control and Prevention, cigarette smoking causes more than 480,000 deaths in the United States annually, nearly one in five deaths. Smoking causes more deaths each year than illegal drug use, alcohol use, firearm-related incidents, motor vehicle injuries, and HIV combined. Whether you are in high school or are living in a senior residential community, smoking is detrimental to your health and can take years off your life. With that said, it doesn’t matter where you are in your life, quitting smoking will help improve your health, give you more energy, allow you to breathe easier, and can help you live longer. Tobacco smoke contains a mixture of about 7,000 chemicals, hundreds of which are harmful and 70 of which cause cancer. Nicotine the drug found naturally in tobacco, is an incredibly addictive substance and it can lead to tobacco users becoming dependent upon the cigarettes. Extended cigarette use is poisonous for the body and can lead to disastrous health consequences, including death. There are a wide number of health problems associated with cigarette smoking and it puts smokers at a greater risk for a number of diseases that affect the cardiovascular system. Smoking causes problems in almost every part of the body including the bladder, blood, cervix, colon, esophagus, kidneys, liver, stomach, and much more. According to the CDC, almost 70 percent of adult cigarette smoker reported that they all wanted to quit completely. Despite this, their smoking continues. Many realize that it is a problem but don’t know how to quit or maybe think it is to hard a task. Quitting smoking is difficult and can require multiple attempts. Many people who try to quit smoking end up dealing with the stress and symptoms associated with withdrawal and start again to alleviate these problems. However, there are strategies that can be effective in quitting and, if done right, can lead to a healthier life. The CDC recommends that if someone is trying to quit they should seek brief help from a doctor. Even a quick 10-minute visit will give the patient advice and information about quitting that can be helpful. Meanwhile, getting involved with others who are trying to quit or who have successfully quit through group counseling sessions can be a good way to learn more about making quitting easier. There are a number of medications that have been found effective for quitting. For instance, nicotine replacement products like over-the counter patches, gums, lozenges, as well as prescription inhalers and nasal sprays can all be effective ways to help quit. Meanwhile, there are also non nicotine prescriptions that can help such as Zyban and Chantix. Older adults and seniors may think that it is too late and pointless for them to quit smoking at this point in their lives. But, this is false. Quitting, at any point in your life will help. Not only will it help to reduce the risk of cancer and help seniors breathe easier, it will reduce the risk of heart disease, a problem that humans are much more likely to deal with as we age. Regardless of situation, quitting is the best approach to maintain a healthy life. Tobacco is the deadliest drug in the country and leads to hundreds of thousands of deaths each year. If you are struggling with a nicotine dependence, learning more about the problems surrounding cigarettes and quitting strategies can help motivate you to quit this nasty habit.